Bayou Blogs » Now THAT’S Confidence!! 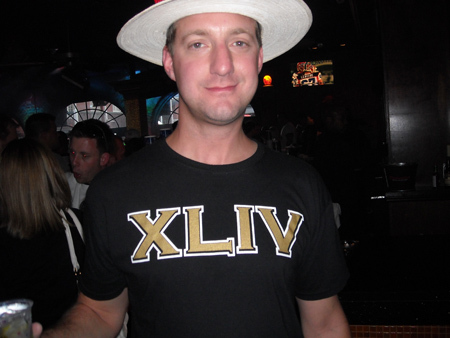 This shirt was spotted at Razzoo after the Saints thumped the Giants last Sunday (10/18). Super Bowl 44 is coming up February 7, 2010…and it looks like this guy has already decided one of the teams that will be involved. WHO DAT!!! Comments Off on Now THAT’S Confidence! !